Founded in 2017 in Rochester, USA, Wireless Sensor Solutions (WSS) has opened an office in Rennes, where it strengthens their already well-supplied IoT ecosystem. WSS is an expert in energy harvesting. WSS develops autonomous wireless sensors capable of transmitting an uninterrupted stream of data. Their initial targeted market: the monitoring of equipment in hostile environment, such as mines and quarries. The technological foundation of Wireless Sensor Solutions is its expertise in energy recovery. The company has unique know-how in transforming movements and vibrations into electricity. The energy thus produced is very low power (on the order of 2 – 3 milliwatts) but sufficient to supply the essential functions of a sensor: acquire and transmit data. On this basis, WSS develops configurable, and perpetual wireless sensors, capable of transmitting the data they report in an unlimited way. 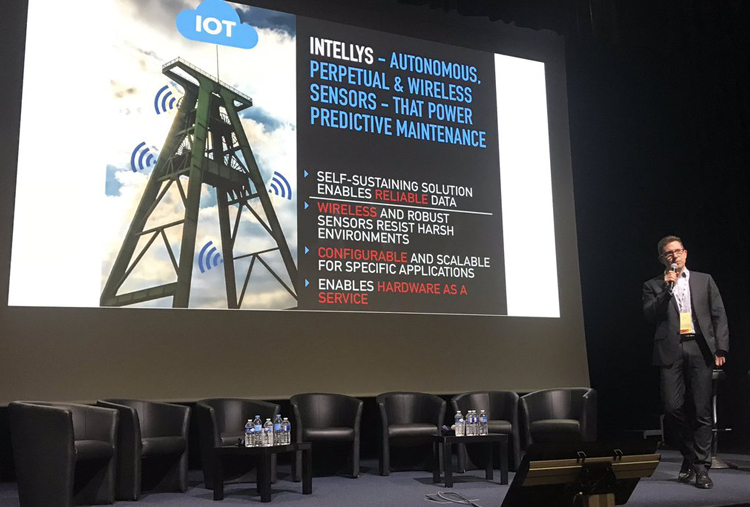 In addition to sensors, the WSS solution includes gateways and an IoT platform, trademarked Intellys, which is the basis for a predictive maintenance solution. The solution is currently the subject of “field testing”, a field experiment for a planned operational solution in 2019. In the long term, beyond mines and quarries, other markets will be explored such as the manufacture of concrete, hydroelectric, and other industry sectors where a predictive maintenance approach results in significant productivity gains. This solution can be deployed globally: the United States, Europe, South Africa in particular. Wireless Sensor Solutions focuses on identifying, capturing, monitoring, and transmitting data. And Monks says they are “open to collaborations” with software processors to achieve a “complete solution from sensors to data analysis”. In addition, the company is positioning itself as an expert in self-powered sensors to assist third parties in the design and development of their own solutions.